On 20 October, the Parliamentary Under-Secretary of State for the Department of Health, David Mowat MP, made a statement about the future of community pharmacy. There was considerable local interest in the issue, especially in Downley, Lane End and Marlow Bottom, so I am delighted that the Government will introduce a Pharmacy Access Scheme in areas where there are fewer pharmacies and higher health needs. The Marlow Bottom Pharmacy, the Lane End Pharmacy, the Downley Pharmacy, Lansdales Pharmacy at Penn Surgery, the Tesco Instore Pharmacy in Loudwater and the Rowlands Pharmacy in Kingswood all qualify for the scheme. 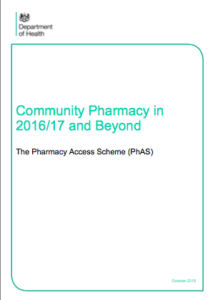 The full list of pharmacies eligible for this scheme is available on gov.uk. The announcement ensures that pharmacies will continue to play a key role in local healthcare provision. I hope and expect that this measure will save those treasured, isolated pharmacies which were threatened by the aftermath of Labour’s former funding policy.